Lately, more and more people have switched to online stores for shopping. In 2015, the UK became the leading market for online shoppers when more than 77% people hit the ‘Buy Now’ button. Forget clothes and electronics, online grocery shopping itself is expected to reach $28 billion by 2020. When it comes to e-commerce stores, the current conversion rate is very low. If we look at the statistics of Monetate Ecommerce Quarterly, the e-commerce stores in the UK made an average conversion rate of 4.20% during the last quarters of 2016. This was quite low compared to the other quarters. Increasing the numbers is not that easy but, by applying the following tricks, you will be able to see relevant results. One of the first things online users notice about a product is the price tag. If they find it cheaper, they will be excited to shop at your store. But, if they find a hefty shipping charge at the checkout, they may be dissuaded to complete the process and to actually buy the product. Therefore, you may notice increased conversions if you offer free or lower shipping charges. Online shoppers leave the e-commerce stores for a number of reasons. It can be for a better price at any other site, high shipping costs, not finding a strong desire to shop or a complicated checkout process. Around 69% of shopping carts get abandoned for different reasons. Sending emails to this kind of customers, as a part of shopping cart recovery strategy, within a short period of time, can increase the chance of getting back sales. For the strategy to be successful, it is required to try out different email subject lines and content. You can easily increase conversion rates on your website by going for pay per click ads on Google, as well as on other search engines or websites. Let’s take the example of Spa & Hotel Break company – they have carried out a PPC campaign that offers £50 off on group bookings. So interested customers will click on it and find the same deal on the official website. Customers will directly browse it and find even more deals. This kind of tricks helps online sites bring in more visitors and increase conversion rates. Just be sure that you have the same offer on the web copy and on the ad copy, so that visitors won’t be confused. The trend today is for online stores to offer a box for a promotion code at the checkout. Most visitors leave the website then and there to search for the codes on Google. In some cases, they find codes that do not work and so they leave the website in the meantime. But in other cases, they end up finding some amazing deals on competitors’ websites. In order to avoid such situations, it is important to have a webpage that focuses on the discounts and the promotions you offer. This page can even be used to promote other services like free shipping, price match guarantee, reward programs, etc. This big step helps companies get more conversion rates. One of the most time consuming and stressful areas of shopping on online sites is completing the checkout process. Complicated and multiple page towards checkout can frustrate shoppers and make them leave the website without shopping for anything at all. 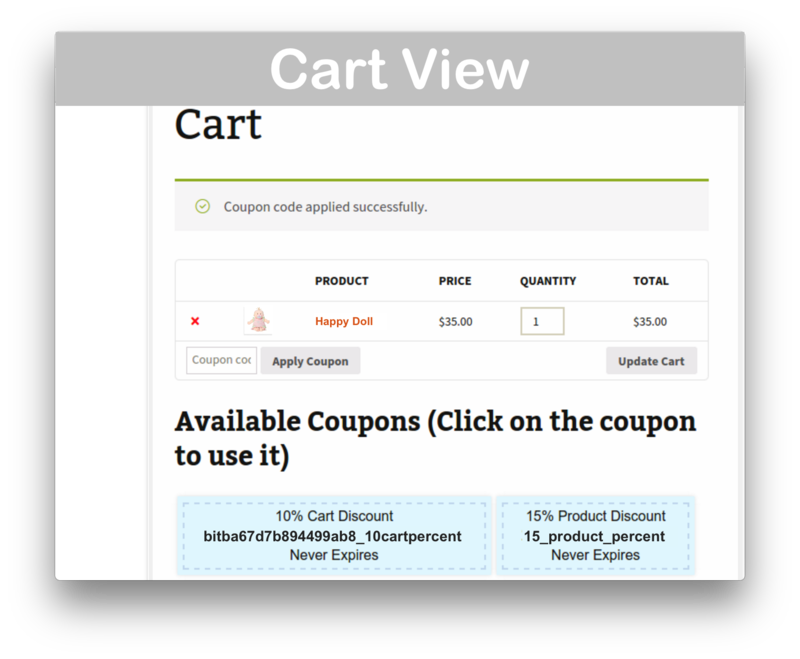 If your checkout is divided into different pages, then it is necessary to provide a clear idea on the call-to-action buttons. For example, simply showing ‘continue’ on the buttons may be confusing. Instead, ‘review order’ will let them know that all the information has been submitted. This simple change can help conversion increase up to 8%-10%. Motivating language for the call-to-action buttons will make customers feel they are progressing and completing the checkout steps quickly. Your online business will fail if you are not able to attract the target audience. You cannot simply assume that they will visit your website and buy products instantly. So it would be better to come up with some content and images that you can relate to your customers directly. Keep posting them regularly on your website, as well as on other marketing platforms. You will be able to create a set of regular visitors and readers who will contribute to the sales later on. Do you know that 61% of online users go through reviews before making a purchase? This is your chance to increase conversion rates. You are doing well and you have great products, but this doesn’t mean that people believe in you. So have a place for customer reviews for your products on the website. Such reviews will convince visitors and they will readily buy the products and contribute to better sales. You have to keep on trying different strategies and know what can work best for you, in order to increase conversion rates. Remember that you have to wait for at least a few days to see the positive results. Maulik Patel is a Creative Entrepreneur and managing director at HireSEOAgency, top seo company of India. He has more than 7 years of experience in small business growth strategies, content marketing and technical seo. Awesome tips. I personally think having customer reviews on your site is a big factor for consideration not just for your customers, but for your own site as well. Positive feedback increases conversions while the negative ones should provide insight as to what doesn’t work. I guess it’s all up to you if you want to moderate the comments in a way that you’ll just keep the negative feedback to yourself. Cheers! I couldn’t agree more, Justin – very well said! Based on my research, about 70% of business owners have considered going mobile and digital to increase conversion rate in sales. It can’t be helped in my opinion, this is definitely their way of adapting to this technological era we live in. Still feedbacks – may it be virtual or any form of survey – provide a special factor when it comes to sales which increases the overall conversion rate online, hence the e-commerce approach as a data-reliant business. Nevertheless, thank you for sharing this awesome read! I really love shopping online because of the customer’s review of the product if its worth it and its a big help for those people who have no time to go shopping due to hectic schedule. Thus, adding customer’s reviews on your site in order to gain popularity leading strangers to regular customers. And if ever I really prefer adding some helpdesk services contact numbers for those people having troubles in their items, just incase for more further inquiries and suggestions from the customers.